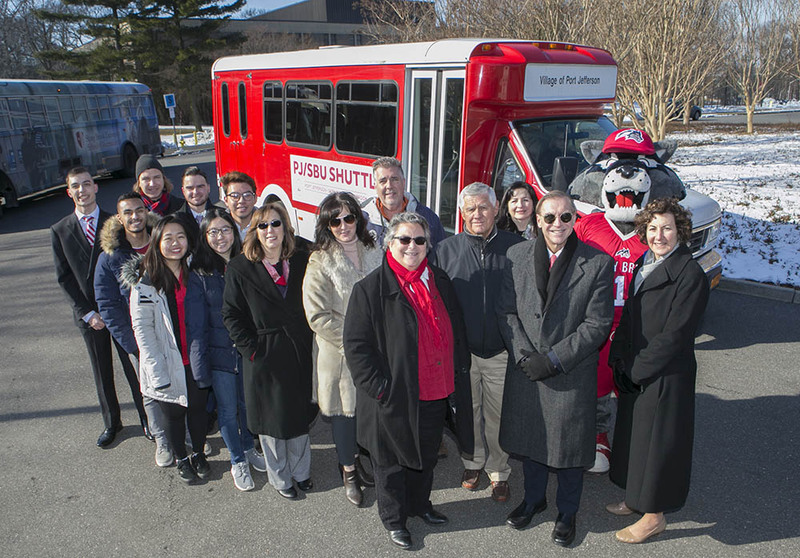 Mayor Margot Garant (front center), President Stanley (third from right), Judith Greiman (far right), and Wolfie (second from right) help kick off the new shuttle. The PJ/SBU Shuttle will run in a continuous loop between the University and Port Jefferson Village during specified hours, with stops at the Three Village Shopping Center on Rt. 25A, which features Wild By Nature and Stop & Shop locations, and the Long Island Railroad’s Port Jefferson train station. 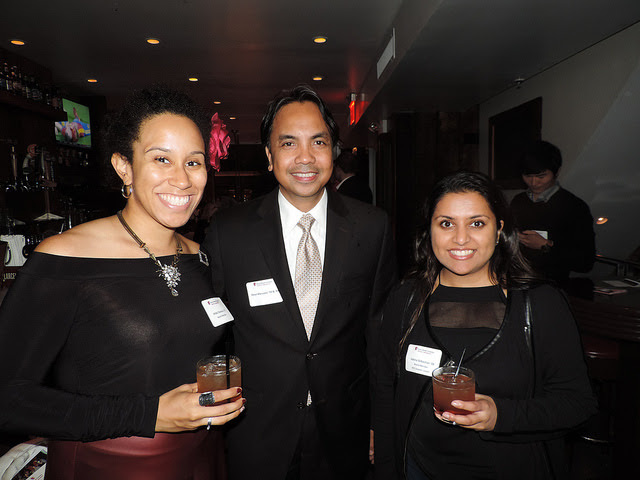 A kickoff held on Thursday, March 7 was attended by Stony Brook University President Samuel L. Stanley Jr., Village of Port Jefferson Mayor Margot Garant, and other representatives of both the University and the Village. 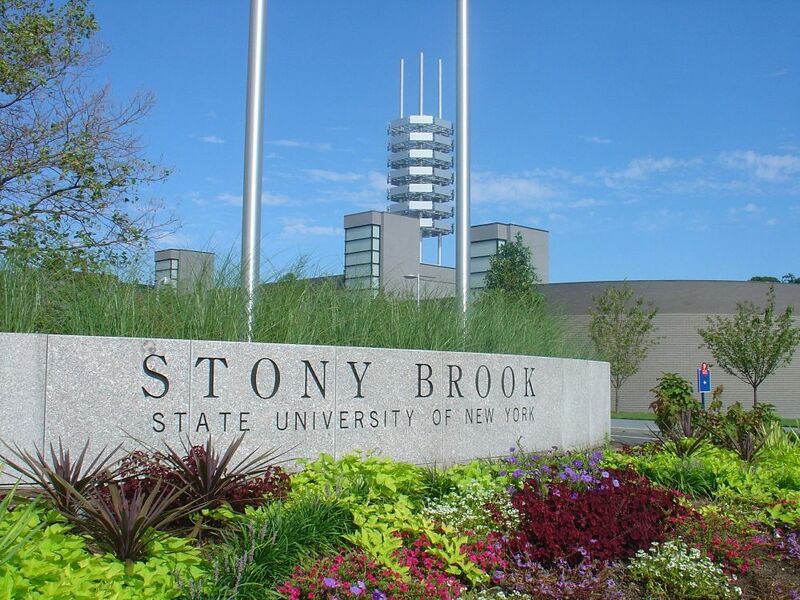 The inaugural run left the Stony Brook campus later that day. 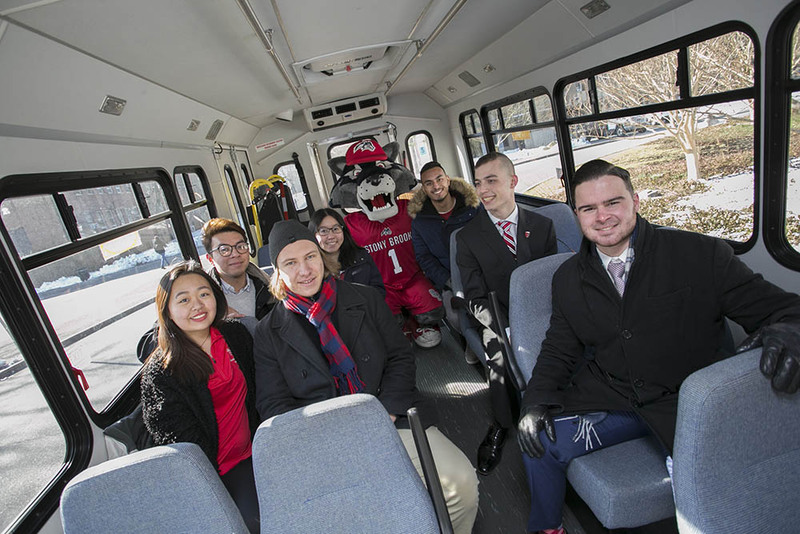 The Shuttle will pick up passengers at the SAC Loop, the Chemistry Loop and the Chapin Apartments bus stop near the Health Sciences Center and University Hospital, and runs Thursdays, 3:00 pm to 9:00 pm; Fridays and Saturdays, 11:00 am to 9:00 pm; and Sundays, 11:00 am to 6:00 pm. Passengers just need to show their Stony Brook ID and the ride to Port Jefferson is free. 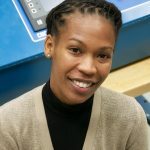 The Shuttle was initiated by Mayor Margot Garant with support from the Greater Port Jefferson Chamber of Commerce, the Pro-Port Jefferson Association Restaurant Group and Stony Brook University’s Government and Community Relations Office. 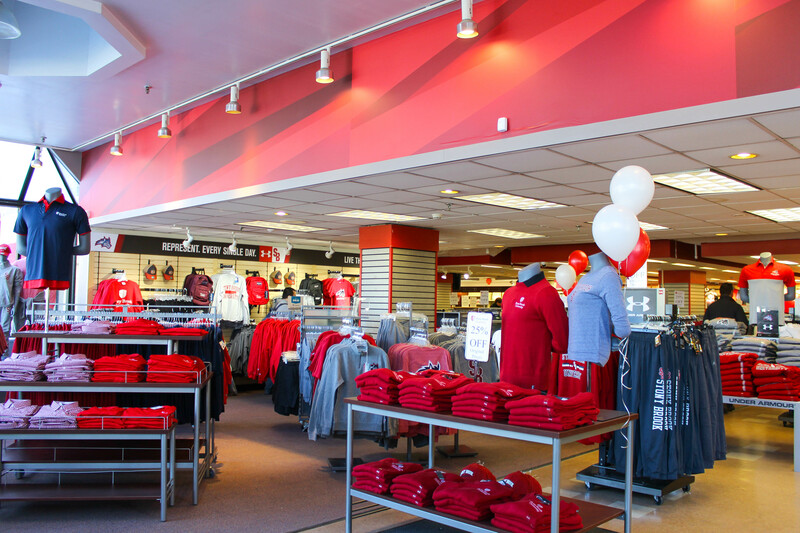 This pilot program enables campus members to enjoy the dining, shopping and entertainment of Port Jefferson Village without worrying about parking. Even better, less traffic into the Village also means less emissions. The PJ/SBU Shuttle will run until May 23, 2019. Details can be found on the pjshuttle.com website. Riders can also track the shuttle’s location on the Passio GO! App. An added bonus of the shuttle program is that it is completely funded by parking meter revenue so there is no cost to the taxpayers of Port Jefferson Village. Wolfie joins a group of riders ahead of the Shuttle’s maiden voyage. 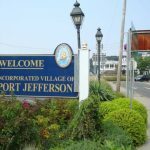 Port Jefferson offers visitors a scenic waterfront and “short-walk” accessibility to shops, restaurants, museums and more. It’s also a hub for the Bridgeport and Port Jefferson Steamboat Company, one of the oldest ferry companies in America, which provides ferries that take hundreds of passengers to and from Connecticut each day. 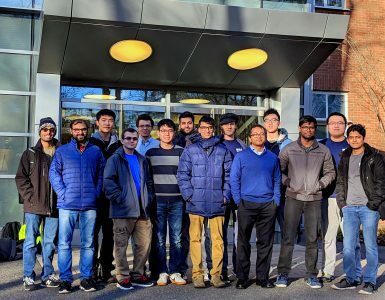 If the first weekend was an indication of things to come, Port Jefferson will indeed be “Seawolves Country” this spring; almost 250 riders took advantage of the service, more than tripling first weekend estimates.